All computer DDR memory today have little I2C EEPROMs to store vendor, configuration and module spec information. This is done to allow computer to detect memory type, and configure memory interface to correct speeds and voltages according to module spec. This mechanism is based on JEDEC Serial presence detection specification (SPD) which is available for download. Sometimes it’s needed to modify SPD and there are rarely available software tools to do so in-system. To overcome this issue design can be done stand-alone, with independent hardware to read/write EEPROM on memory module. 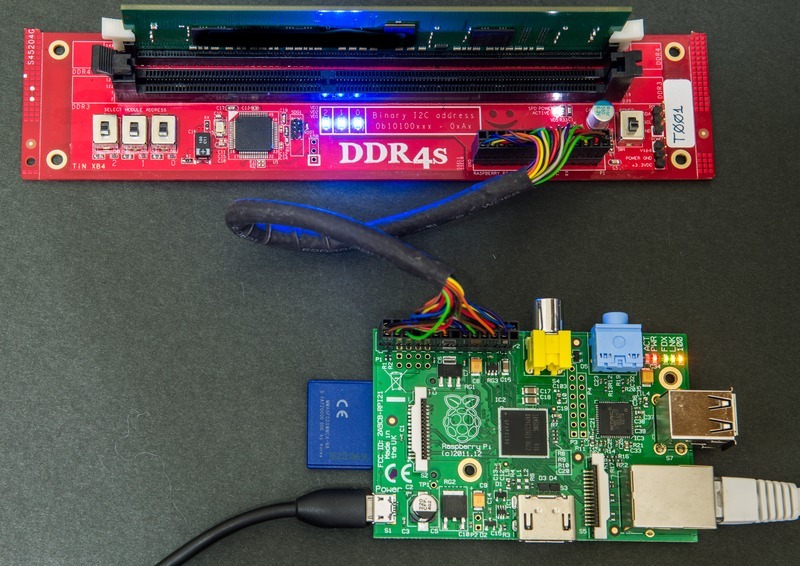 Raspberry Pi is one from hundreds of possible ways to do such, and it’s easy and widely popular linux platform, which enables lot of engineers to customize and discover new uses of ARM embedded platform. And since we don’t want to modify anything on DIMM modules directly, there is requirement to have standard DIMM sockets, so user can easily interchange modules to perform SPD operations, without any damage risk or soldering. Power switch to allow swapping modules without RPI power down. 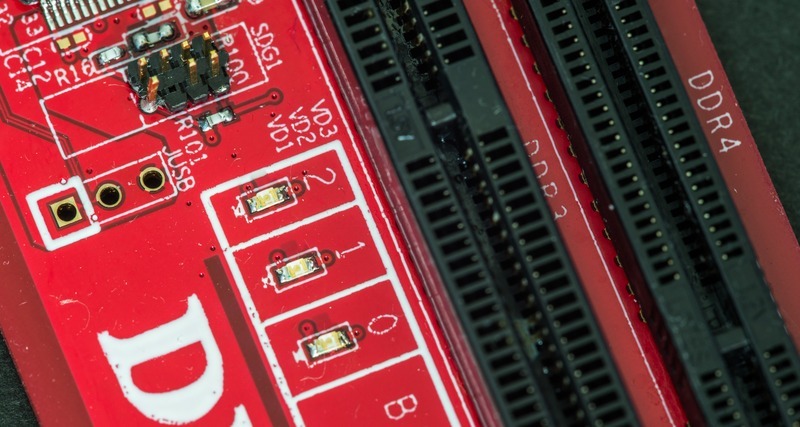 I2C address switch to enable multiple adapters to be used with single RPI. All project files and documentation tracked by Mercurial DVCS. It’s free and well maintained version control engine, with syntax similar to git and SVN. Login and password are guest. 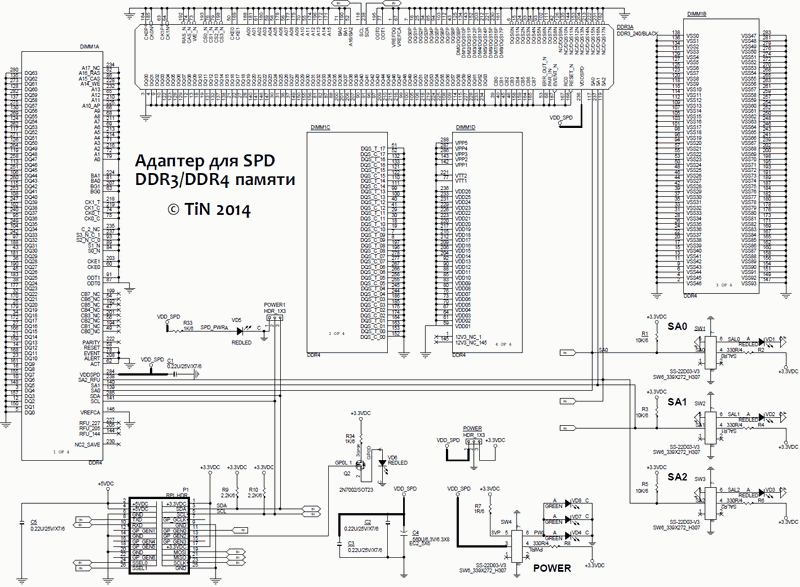 After few hours here is adapter board schematics (PDF format on click). Pretty simple design with low amount of parts. MCU section is optional and not required for operation with RPI. This is as simple as it goes, two pull-up resistors for I2C bus, +3.3V power taken from RPI and power switch with LED. 2.54mm 26-pin header for RPI extension port P1. All these components located in bottom right area. Bottom side have only optional decorative 0603 LEDs. Power, I2C, SPI and UART are routed from 26-pin header, which mates with Raspberry Pi expansion port just with straight ribbon cable. Adressing for multiple adapters is set via 2-position switches and indicated by LEDs. It’s just usual A0,A1,A2 pin signaling for I2C EEPROMs. 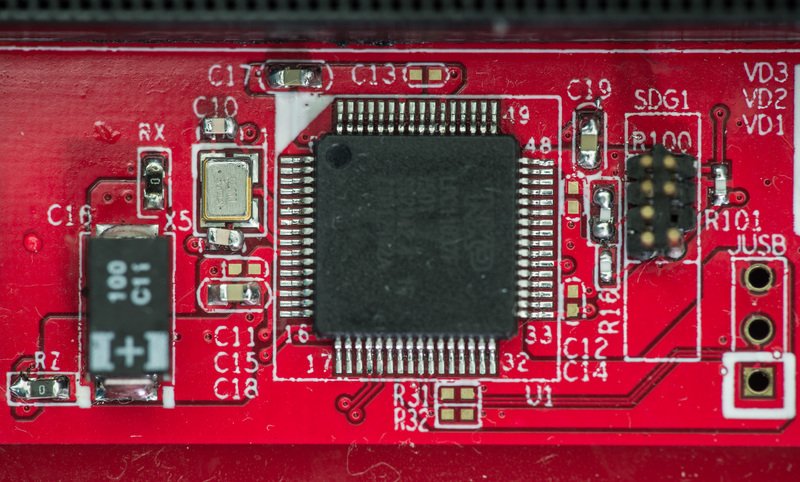 Onboard MCU is NXP LPC11U37FBD64 with SWD header for debug/firmware development. SMD crystal is 12.000 MHz, to support UART and USB. 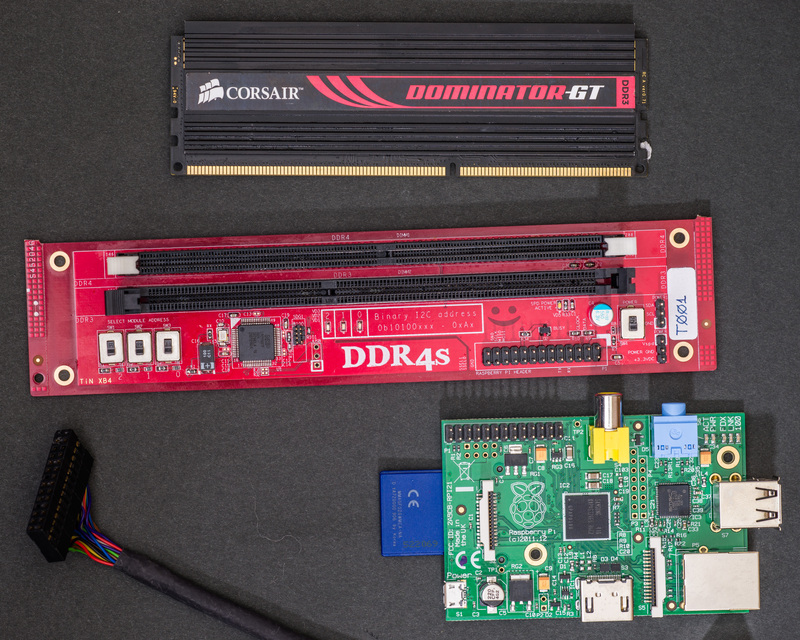 From top to bottom – DDR3 Corsair UDIMM, DDR adapter board, Raspberry Pi Model B with 2GB SD card and 26-pin 2.54mm cable. Cannot use both DIMM types at same time, as there will be address conflict on I2C bus. I used minimal OS, as intention was only to use network-based connection to RPI via ssh. It’s 120MB, so can take a little time to download. To write image onto SD card you can use any imager tool. For accessing Raspberry Pi via network you will need to have network (eth0) configured properly. If SD card is bigger than 1GB (which follows filesystem in linux image mentioned above), you may want to add extra partition to use extra space. Then make ext4 filesystem in new partition. Here I have /repo filesystem partition with ext4 Linux type. Now we can mount it. It’s usually good idea to update your OS packages prior to installation of new software. Be aware, than if your memory storage is limited, then you may run out of space if new packages occupy too much size. Current status: 33 updates [+33], 77 new [+77]. And then run actual update. 33 packages upgraded, 0 newly installed, 0 to remove and 0 not upgraded. Need to get 35.5 MB of archives. After unpacking 234 kB will be freed. Current status: 0 updates [-33]. 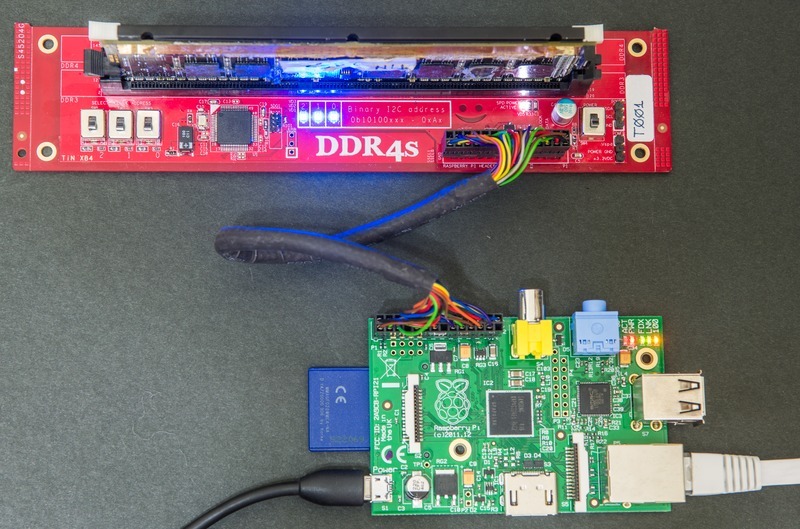 I usually prefer to keep all develpoment and project files in local repository, install mercurial so we can develop our software and commit changes right away from Raspberry Pi system. Need to get 3514 kB of archives. Updating certificates in /etc/ssl/certs... 158 added, 0 removed; done. For mercurial repostory system how-to you can reference official documentation or short article here. Now it’s time to do actual software setup for accessing our I2C hardware. 1b. If your Linux kernel is 3.18 or newer, add next lines to */boot/config.txt. This is due to migration for new Device Tree method. 0 upgraded, 2 newly installed, 0 to remove and 32 not upgraded. Need to get 71.0 kB of archives. After this operation, 317 kB of additional disk space will be used. Selecting previously unselected package i2c-tools. i2c-tools set to manually installed. 4. Now we can connect adapter board and try i2c detect tool to see if I2C interface working. When no devices / memory modules installed there should be no devices present on any address. 5. Minimalist linux builds may not have gcc compiler as well, so install it before you can compile/test own code. 6. If you have wiringPi library not installed, need to install it. If you used OS image attached in this code repository, then you will need to install wiringPi library. 7. 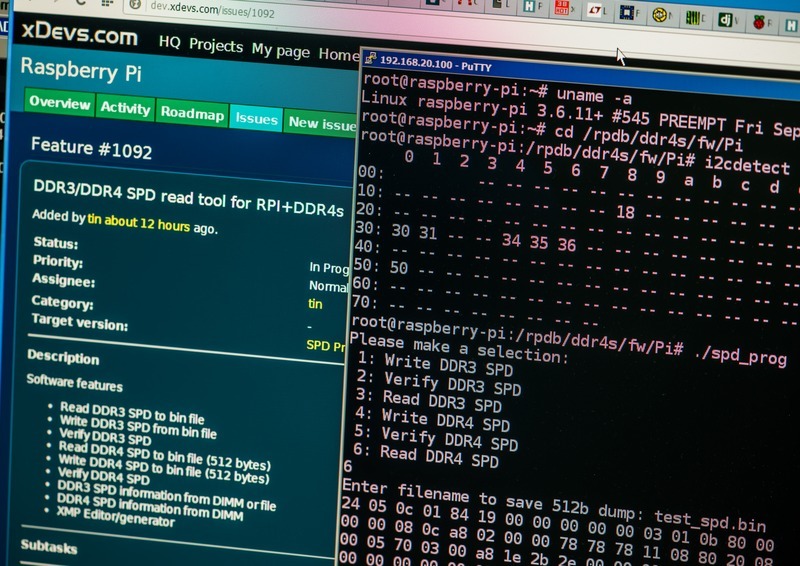 Running test GCC-compiled software in putty terminal connection to Raspberry Pi’s Debian Linux. 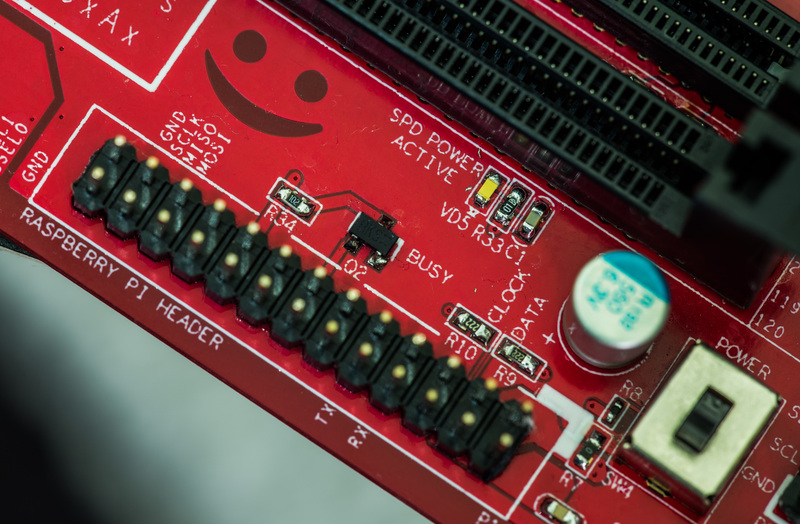 /spd_prog* – runs application to read/write DDR3/DDR4 SPD. It operates with plain binary files only. Published: Aug. 9, 2014, 3:48 p.m. Modified: Jan. 11, 2018, 11:12 p.m.
RaspberryPi forum : I2C, SPI, I2S, LIRC, PPS, stopped working? Read this.